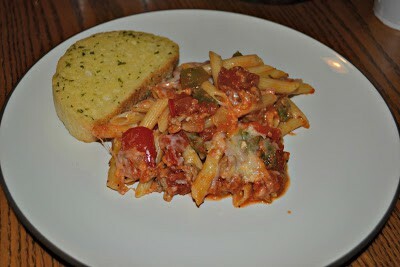 A few months ago I made penne with sausage and peppers and it was delicious. 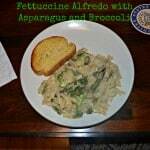 The flavors were great and it was an easy weeknight meal. The only problem was that it baked in the oven so it took longer then I wanted it to. I wanted to try a stove top version that was ready in under 25 minutes. That’s why this pasta dish is perfect for #WeekdaySupper. 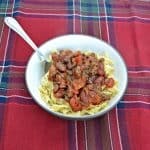 I also added in some onions and fresh tomatoes to this recipe which really enhanced the flavor. The sauce was so creamy and delicious and the spicy andouille sausage worked well against the cream cheese in the sauce. I think I might like this version better then the baked version! 1. Cook the pasta according to the package directions. Drain and keep warm. 2. Crumble the sausage into a large skillet and saute for 5-6 minutes or until it has browned. Add the olive oil, red pepper, green pepper, and onions to the skillet and saute for 4-5 minutes. 3. Add the garlic cloves, Italian herbs, and tomatoes to the pan and cook for 3 minutes. 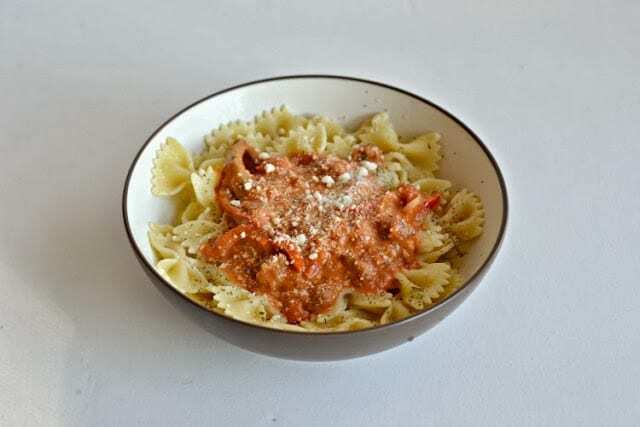 Stir in the marinara sauce and cream cheese. Mix until the cream cheese is melted. 4. 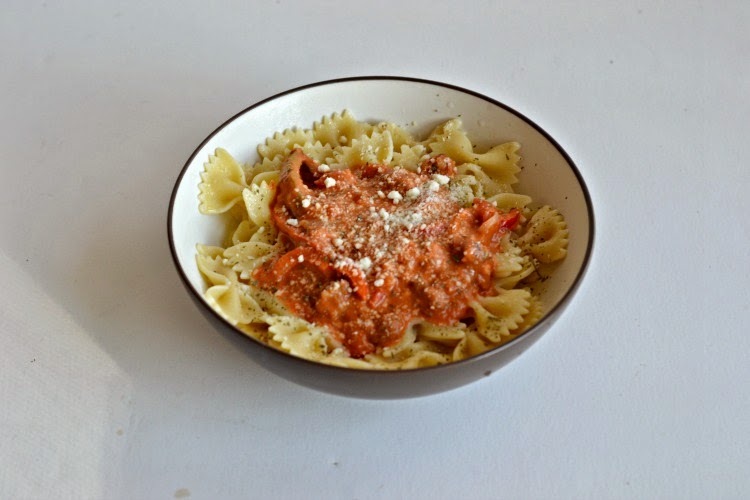 Serve the sausage and peppers sauce over top of the bow tie pasta. Sprinkle with Parmesan cheese if desired. This looks so good. I love the flavor of peppers and can’t wait to try this out on my family! Yummy, have to add this to the dinner menu. 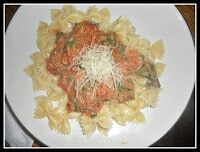 I never tried cream cheese in a pasta dish, sounds so creamy!